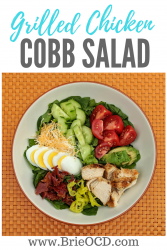 This Cobb Salad recipe is the perfect lunchtime meal that won’t leave you feeling sluggish. It is super easy to throw together and pack for on the go! This salad is jam packed with protein, veggies and healthy fats. 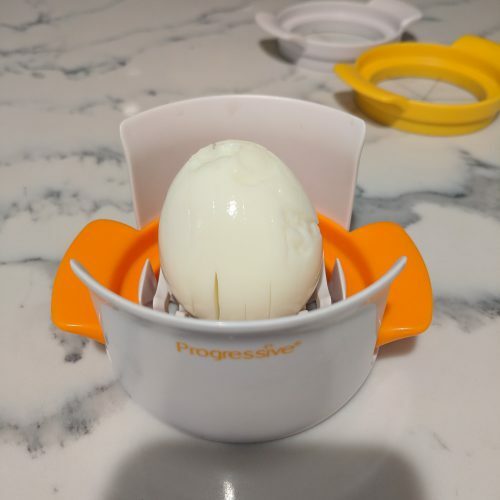 It has 365 calories, 15g of fat, 10g of carbs and 40g of protein per serving!!! It is hearty and filling and has so many different components that you will never be bored! I don’t include any ingredients with gluten, so all of you gluten-free folks are safe! 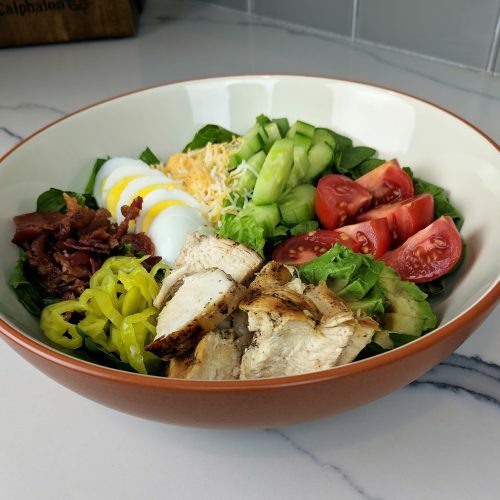 I cook about 2 lbs of chicken and 1 lb of bacon so that I have enough for 8 salads. 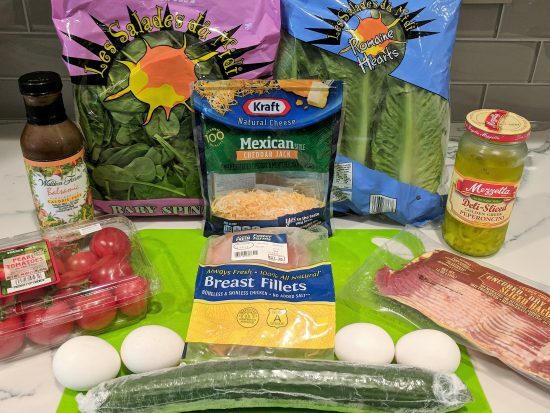 I use 4 oz of chicken per salad but you can customize it to whatever protein you need for that meal. You can buy pre-cut chicken but please beware of the nutrition info. 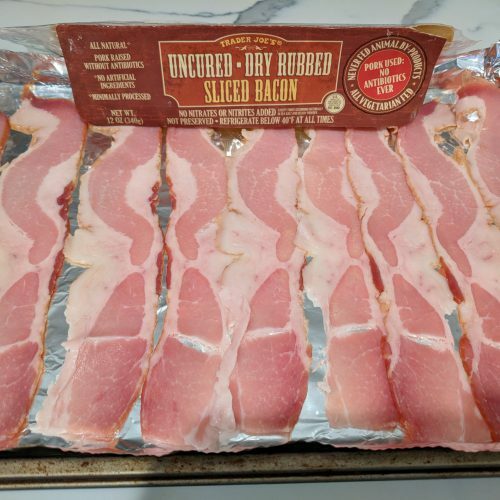 Some of the pre-cut meats have a ton of sodium. Just a note. For the dressing I use Walden Farm’s Balsamic Dressing so if you use something else, be sure to add those nutrition stats to the ones above. I make everything in advance so that I can just throw the salad together that morning before work (or before bed). 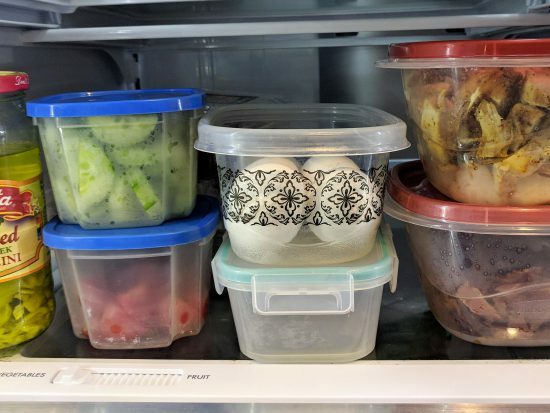 I store everything in separate little containers and put them in the corner of the fridge so that I don’t forget anything! 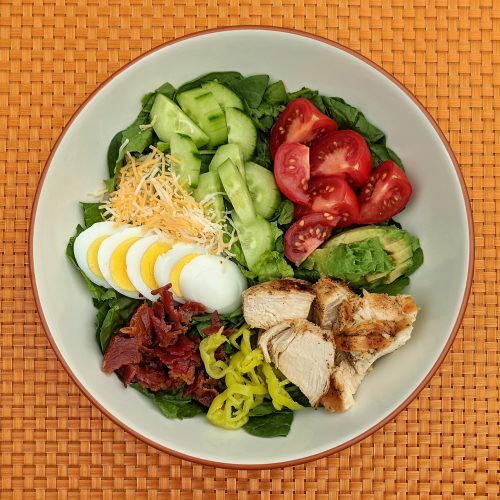 Hope you enjoy this protein-packed, filling salad! 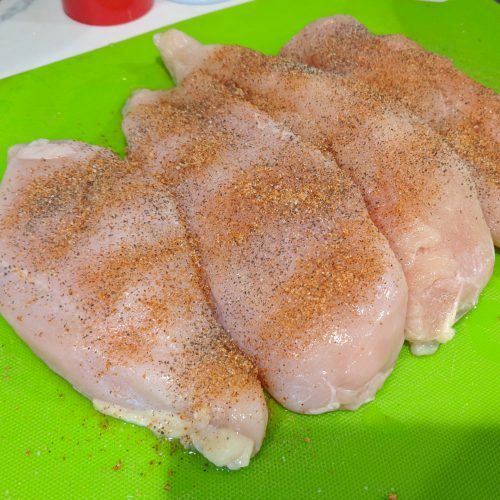 lightly season chicken breasts with creole, salt, pepper. 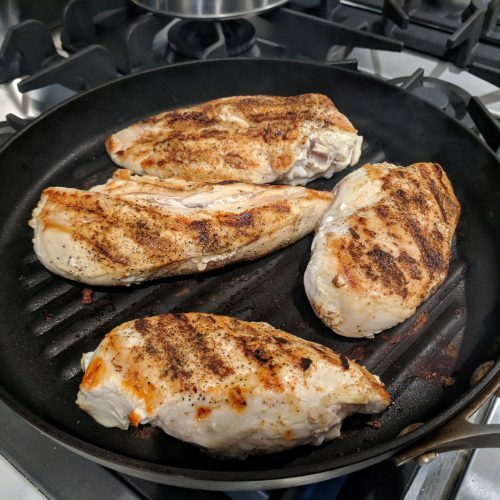 in a grill pan or on the grill, grill chicken for about 15 minutes or until it reaches internal temp of 165 degrees. When chicken is cool, cut into cubes or bite sized pieces. 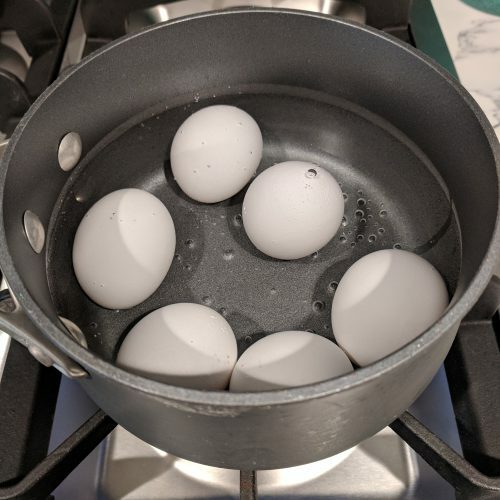 while chicken, bacon and eggs are cooking start to put the rest of the ingredients into a bowl. add chicken, crumbled bacon and sliced egg to the salad. top with balsamic dressing and enjoy!